Yet again, the Avalanche played on the road, needing a win. The playoffs were in sight after the win on Tuesday, and Colorado continued their push to the postseason against the Dallas Stars. 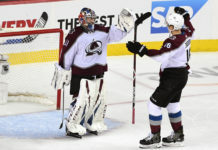 Knowing a win might put them in the playoffs, the resilient Colorado Avalanche outfought the Dallas Stars to a 3-1 win. 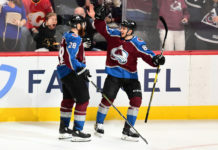 The Avalanche got help with goals from Erik Johnson, Tyson Barrie and Carl Soderberg who netted the empty net goal to seal the victory. 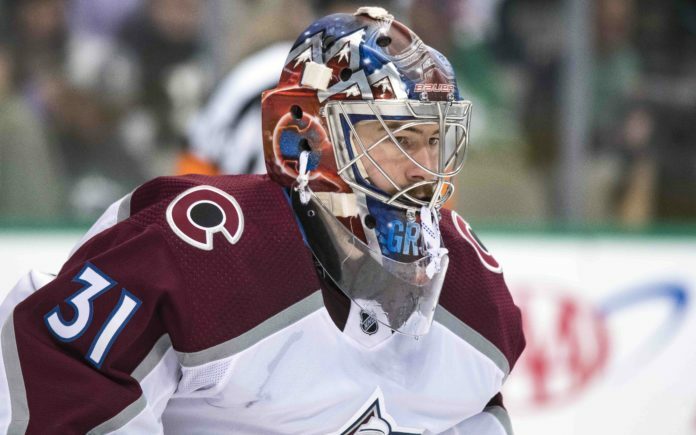 Philipp Grubauer made 44 saves to cap off an all-around hard fought night for the Avalanche. What did we learn from this huge win? 1. Tyson Barrie continues to put the puck in the net. Barrie gave Colorado the important two-goal lead early in the second period. In the last four games, Barrie has 12 shots on net, four goals and one assist. Tonight’s goal was Barrie’s 300th point, making him the first in franchise history to reach the 300 point mark. 2. Defense continues to step up. Not only did Erik Johnson get Colorado’s first goal, but Sam Girard had assists on two of the goals tonight giving him a two-point night and the defensive core four points total. 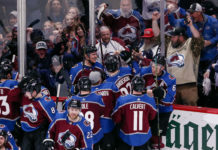 With Colorado’s captain, Gabe Landeskog, out with an injury, the Avalanche needed additional help from somewhere else and the defensive group has stepped up. 3. Philipp Grubauer continues to shine, ensuring Colorado left with the win. Yes, that was a team win, but Grubauer made sure several times that Dallas didn’t put the puck in the back of the net. It took a perfect tipped shot from Tyer Seguin to beat the Colorado netminder tonight. Most importantly, Grubauser stood tall when Dallas threw everything they had at Colorado. He faced 24 shots in the third and only allowed one to get passed him. Most likely he will continue to be the goalie we see in net down the stretch. 4. Back in the playoffs. With the win, Colorado moved back into the last playoff spot with 78 points. Arizona, who also has 78 points lost to Florida Thursday night. Because they have a -10 goal differential, and Colorado has a +10, Colorado holds the final playoff spot with 8 games to play. The Avalanche look to extend the win streak to four games when they return home for a very important matinee game against the Chicago Blackhawks. Puck drop is set for 1:00 p.m. MT from Pepsi Center.